One of the most important aspects of the services provided at Aesthetic Family Dentistry in Baytown, TX is preventive dentistry. Dr. Dean Hutto, Dr. Steve Ragsdale, and the dental hygienists on staff are trained in the latest technologies to help you keep a healthy set of teeth that will last a lifetime. There are several different methods that we recommend at Aesthetic Family Dentistry to accomplish this goal. 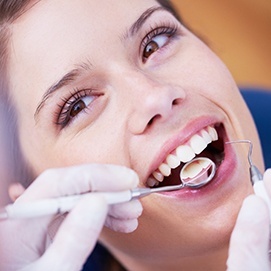 We work carefully with our patients to ensure that they have good oral hygiene routines and provide them with regular professional checkups and careful attention to the earliest possible signs of potential problems. 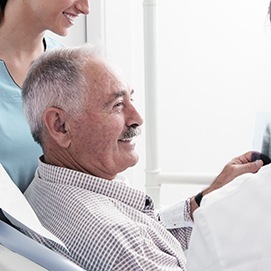 Our preventive services start with a recommendation for semi-annual dental checkups. This gives us a chance to identify any emerging issues such as gingivitis, periodontal disease, decay, or damage to the teeth in the form of hairline cracks or tiny cavities. Every patient, young and old, needs to attend a dental checkup and cleaning at least twice each calendar year. This routine is important because our team can not only get rid of harmful bacteria throughout the mouth, but also diagnose and treat any potential problems at their earliest, most harmless stages. Many types of infection and damage will go unnoticed by the untrained eye, after all! Attending professional appointments can help you keep your oral health and happy smile on the right track well into the future. 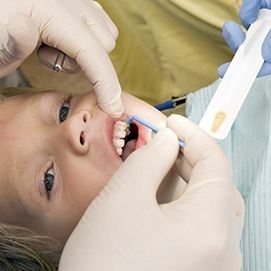 Dental sealants are a simple and effective preventive service that can help protect teeth from surface-level decay for up to 10 years or even longer. 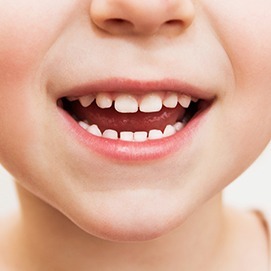 This thin, plastic film is applied directly to the chewing surfaces of the premolars and molars (also known as the back teeth), which are notorious for attracting infectious bacteria and food particles over time. Its placement will create a tough barrier that prevents these substances from getting stuck in the grooves, resulting in a healthier, stronger smile that’s much more likely to remain cavity-free. Bruxism (also known as “teeth grinding”) is a common and dangerous bad habit. Many patients don’t even realize they’re at risk because they only experience it while sleeping, leading to questions about chronic jaw discomfort and worn-down tooth surfaces. Thankfully, our team can identify the presence of bruxism during your next checkup. 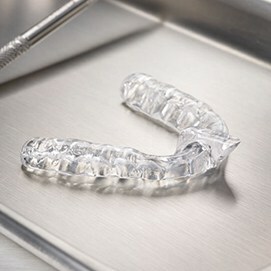 If needed, we will recommend the use of a custom-made nightguard to prevent dangerous dental contact and keep teeth safer. Not only can this type of oral appliance reduce the effects of bruxism, but it can even alleviate pain caused by TMJ disorder as well. If you or a family member regularly participates in sporting events where physical contact is a possibility (whether with other players, objects like balls, or hard surfaces), wearing an oral mouthguard is an absolute must. 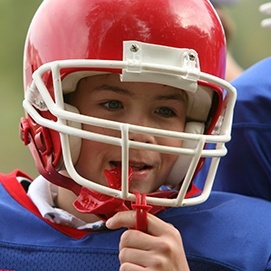 Just like you’d buy a helmet to protect your head throughout the big game or kneepads to prevent nasty scrapes, this type of appliance (also known as a “sportsguard”) provides important protection from injuries that can badly damage the vulnerable teeth. Oral cancer can develop in subtle, scary ways that often aren’t even noticed until the disease reaches advanced stages. Thankfully, Dr. Hutto and the rest of our team can be your first line of defense against this threat! 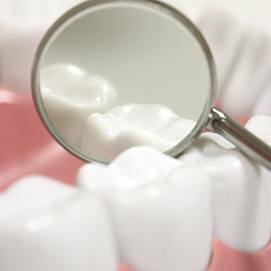 We use the state-of-the-art OralID tool to take a much closer look at your oral tissue during regular exams. With the help of fluorescence technology, abnormal tissue and potentially cancerous cells will be clearly revealed right away, which means the patient’s chances of a safe, successful recovery are maximized. Fluoride is a valuable mineral that can be found all around us, from the various oral hygiene products we use at home to the water that comes out of our kitchen tap. 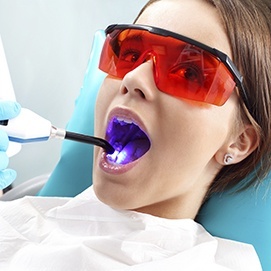 Countless studies have revealed a strong positive link between safe exposure to fluoride and healthier, stronger teeth that are less prone to cavities – but unfortunately, not everyone gets enough of this exposure throughout everyday life. Aesthetic Family Dentistry offers professional fluoride applications as a part of regular checkups and cleanings for an added boost of health and protection. 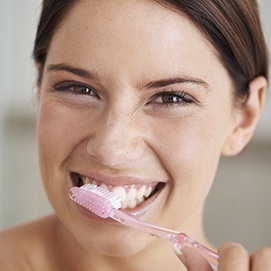 While professional checkups and cleanings are a crucial part of lifelong oral health, it’s also important to have a dedicated oral hygiene routine at home as well. We can recommend high-quality products that will help you and your family maintain your best smiles, such as toothpastes, gum pastes, and oral rinses. For instance, Tooth And Gums Tonic® is an herbal antimicrobial product that keeps breath fresher and supports a healthy overall mouth. It’s right there in our practice name – we love seeing the whole family! 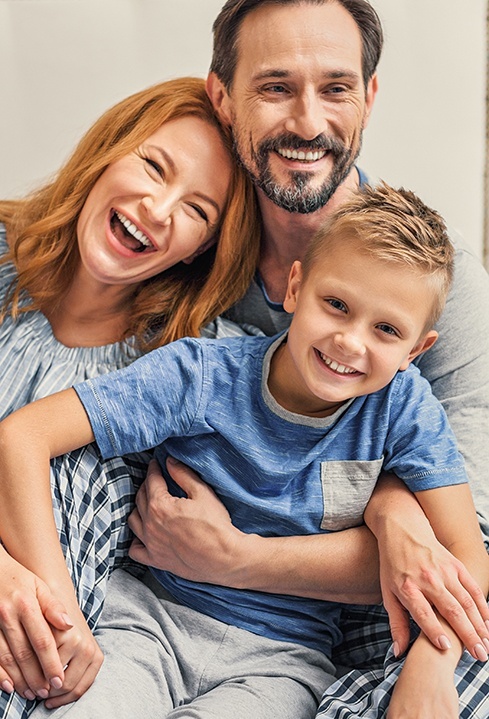 Dr. Hutto and Dr. Ragsdale can accommodate even your youngest loved ones, helping them develop a strong foundation of good oral health through gentle, dedicated attention. Our care approach will grow and mature with kids over time, hopefully leading to not only a better, brighter smile that helps them thrive, but a lifelong positive attitude towards the dentist’s office. Periodontal disease (also known as gum disease) is one of the most common health problems on the planet, as well as the leading cause of tooth loss among adults here in the United States. In order to stop this infection in its tracks as early as possible, our team will recommend periodontal therapy upon discovering dangerous symptoms. Specialized programs, such as more frequent deep cleanings and checkups, are highly recommended, even if your case of gum disease is still in early stages. We want to preserve your health and happiness!